Photo: “Me & Myself” by an anonymous student of photography workshop at the Rhode Island Training School, coordinated by AS220 Youth. If you happen to be in Belgrade, Serbia over the next couple of weeks, I encourage you to head to the Kulturni Centar Beograda (KCB) and see Seen But Not Heard, an exhibition I’ve curated of photographs from American juvenile detention facilities. The show features photographs made by incarcerated youth in photography workshops coordinated by Steve Davis in Washington State and by As220 Youth in Rhode Island, as well as well known photographers Steve Liss, Ara Oshagan, Joseph Rodriguez and Richard Ross. The invite to put together Seen But Not Heard — which is my first international solo curating gig — was kindly extended by Belgrade Raw, an impressive photo-collective who have operated as guest exhibition coordinators at the KCB’s Artget Gallery throughout 2013. Belgrade Raw called it’s year long program Raw Season. and it was 10 exhibitions strong, including Blake Andrews, Donald Weber and others. Here’s Belgrade Raw’s announcement for Seen But Not Heard. Beneath, is a long essay I wrote for Seen But Not Heard . Beneath that is a selection from the 200+ works in the exhibition. Beneath the works are the details of the photographer and/or program who made them. 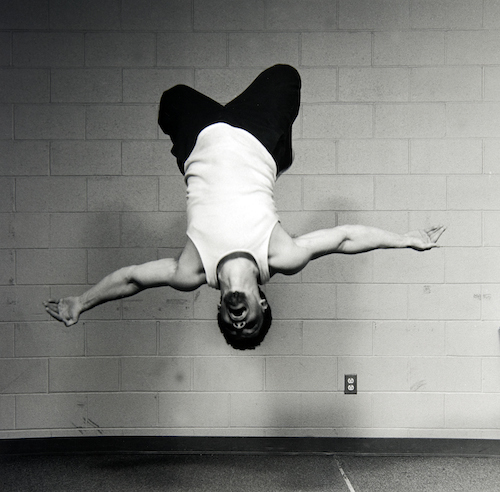 Photo: “Flip” by an anonymous student of photography workshop at the Rhode Island Training School, coordinated by AS220 Youth. – Mark Twain, writing satirically in the voice of King Leopold in condemnation of the Belgian’s brutal rule over the Congo Free State. King Leopold’s Soliloquy (1905). The United States of America is addicted to incarceration. In the course of a year, 13.5 million Americans cycle through the country’s 5,000+ prisons and jails. On any given day, 2.2 million American’s are locked up — 60,500 of whom are children in juvenile correctional facilities or residential programs. 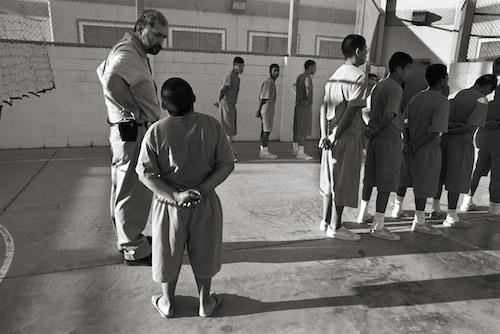 The United States imprisons children at more than six times the rate of any other developed nation. With an average cost of $80,000/year to lock up a child under the age of 18, the United States spends more than $5 billion annually on youth detention. What do we know of these spaces behind locked doors? 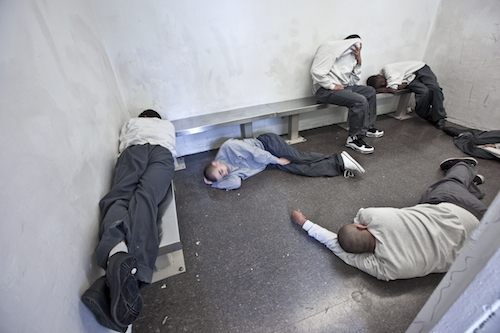 What do we see of juvenile prisons? The short answer is, not a lot. However, photographs can provide some information — provided we approach them with caution and an informed eye. Seen But Not Heard features the work of five well-known American photographers who have taken their cameras inside. Crucially, the exhibition also includes photographs made by incarcerated children on cameras delivered to them by arts educators and by staff of social justice organizations. Many of the children’s photographs are being exhibited for the first time. Cameras are used by prison administrations to maintain security and enforce order, so when a camera is operated by a visiting photographer — and especially by a prisoner — a shift in the power relations occurs. All the images in Seen But Not Heard prompt urgent questions about what it means to be able document and what it means to be prohibited from documenting. What difference is there between being the maker of an image compared to being the subject of an image? What happens if you put kids behind the camera instead of in front of it? What stories do children tell that adults cannot? Can a camera can be a tool for artistic expression instead of an apparatus of control? 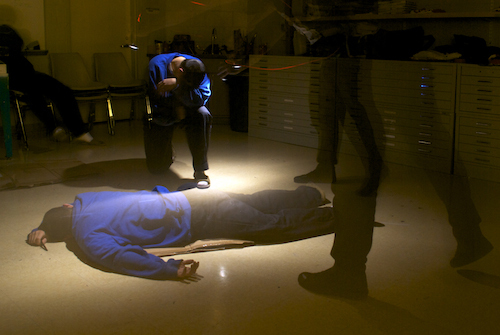 “Light Paintings” made by students of the Rhode Island Training School (RITS) prove a camera is essential to the artist’s toolkit. The anonymous RITS students’ images conjure angelic limbs and alter-egos from the dark. The images contain the frustration of incarceration; the longing of a (new) time; the aspirations of youth; the childishness of comic drawing. The photography outreach program taught by AS220, a community arts group of long-standing in Rhode Island, is an extension of workshops taught to teens in the free-world. In fact, children have graduated out of RITS and into the many studio arts programs offered by AS220 Youth in the town and neighborhoods of Providence, RI. An adult would or could never make these images; it is a privilege for us to share in them. The workshops that Steve Davis coordinated in four youth detention centers in Washington State provide us a window into the incarcerated children’s lives. For legal reasons, at Remann Hall, no images could identify the girls and so Davis made use of pinhole cameras with long exposures. The girls treated the opportunity as one for performance enacting torment, official restraint procedures and bored isolation. The blurry images are eerie and evocative; as if the girls are capturing the moments in which they are disappearing from society’s view. By contrast, the boys’ photographs are very much embedded in reality; they carried cameras outside of structured class time with instructions to make general images and construct photographs along a weekly theme. The boys had one another as immediate audience. We see unfiltered views of their activities, cells, day rooms, programs and priorities; we see costume, computer games, machismo posturing, childlike play and even boring moments. Accidentally they collectively constructed a visual narrative in which motifs such as t-shirts, playing cards and institutional furniture recur. The photographs would be monotonous were it not for the splashed of life the children provide — perfectly communicating why and how humans kept in boxes is not the natural order, nor the ideal circumstance. The photographers in Seen But Not Heard all had different motivations for going inside. After the experience, they all had the same attitudes. Without exception, the photographers’ experiences had them wide-eyed, sometimes angry, usually frustrated and certainly more conscious of the politics of incarceration. Consequently, they feel a responsibility to share their images and to describe youth prisons to many audiences. Steve Liss had watched the children of a Texas juvenile prisons perform a choreographed marching routine for then Texas Governor G.W. Bush. After the ridiculous spectacle, the ridiculous Bush gave a ridiculous moral instruction to stay out of trouble. Liss was furious at the patronizing tone of the event and particularly Bush. As a press photographer, Liss had parachuted in and out of that prison as quick as his subject Bush did. He vowed that if Bush ever made it to be President, he’d return to Texas to photograph the children’s lives. Bush would never see those children, but perhaps the world should. It is alarming how often we see very young and tiny children subject to shackles and apparatus designed for dangerous 200+ lb. men. It’s as if the system is blind to the physicality of its young prisoners. That being the case, how can we presume they understand or provide for the more complex psychology of these children? 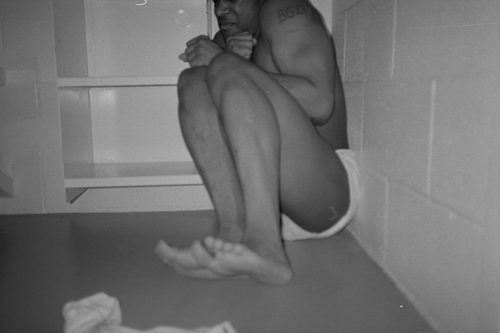 Joseph Rodriguez was locked up as a young man. He also experienced homelessness, for a time, and was addicted to drugs. He was sent to the infamous Riker’s Island prison in New York twice — first, for a minor charge related to his anti-war protest activity; second, for burglary. His mother could not afford the $500. He spent 3 months locked up awaiting his court date. Post-release, Rodriguez found photography and it gave him a means to process and describe the world. Having seen the inside, Rodriguez empathizes with children who are going through any prison system. More than 20 years after his incarceration, Rodriguez felt it a duty to use his storytelling skills to tell the stories of incarcerated children. 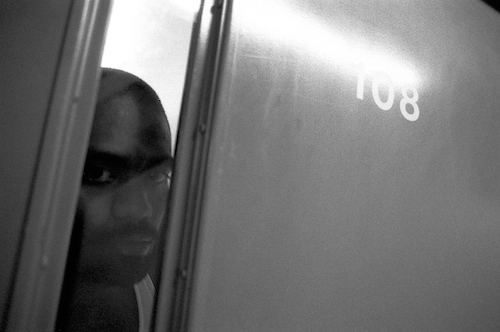 In 1999, he photographed inside the San Francisco and Santa Clara Counties juvenile detention centers and followed children through the cells, courtrooms and counseling of the criminal justice system. Ara Oshagan’s opportunity to photograph at the Los Angeles County Juvenile Hall (the largest juvenile prison in America) was pure happenstance. He met with Leslie Neale a documentary filmmaker for lunch on a Monday. Neale was filming inside the juvenile hall and needed a photographer to shoot b-roll. Oshagan was inside on the Tuesday. He was so moved by the experience that he applied for clearance to return on his own. He followed six youngsters as they progressed through their cases and, in some cases, into California’s adult prison system. Oshagan never felt like his photographs were enough to describe the emotions of the children and so he asked each of them to write poems and presents text and image as diptych. Random circumstance, fine slices of luck, peer pressure and other people’s decisions factor far more heavily in children’s lives than in adults’ lives. Throughout, Oshagan was constantly reminded how his subjects were very much like his own children. 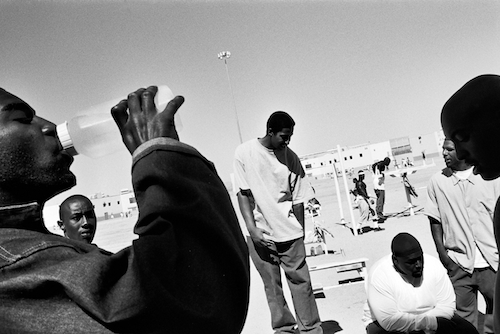 Late in his career and having financial security through a Guggenheim fellowship and teaching sabbatical, Richard Ross turned his lens upon juvenile detention. Ross wanted to give advocates, legislators, educators the visual evidence on which to base discussion and policy. He provides his images for free to individuals and organizations doing work for the betterment of children’s lives. Repeatedly, Ross met children who were themselves victims; frighteningly often he heard stories of psychological, physical and sexual abuse, homelessness, suicide attempts, addiction and illiteracy. Many kids locked up are from poor communities and a disproportionate number of youths detained are boys and girls of color. Ross observed some really positive interventions made by institutions (regular meals, counseling, positive male role models to name a few) but he saw the use of incarceration not as last resort but as routine. Unsurprisingly, many have lost faith in the juvenile prison system. Recent scandals have exposed systematic abuses. In Pennsylvania, two judges accepted millions of dollars in kickbacks from a private prison company to sentence children to custody; in Texas, an inquiry uncovered over 1,000 cases of sexual assault by staff in the state’s juvenile justice system; in New York, on Riker’s Island it has been alleged that young gangs (referred to as “teams”) organized within the jail itself, and controlled and enforced the juvenile wings while the authorities turned a blind eye. The rivalries resulted in fights, stabbings and in one case death. The New York City Department of Corrections denies the allegations, but interestingly it was NYDOC employees that exposed the violence by leaking internal photographs to the Village Voice newspaper. Nationally, the private company Youth Services International (YSI) inexplicably continues to operate despite being cited for ‘offenses ranging from condoning abuse of inmates to plying politicians with undisclosed gifts while seeking to secure state contracts’ by the Department of Justice and also New York, Florida, Maryland, Nevada and Texas. Given the lessons from the failed practices of incarcerating more and more children, States are adopting more progressive policies. Certainly, authorities are turning away from punishing acts such as truancy and delinquency with detention; acts that are not criminal for an adult but have in the past siphoned youths into the court system. But more than that, incarceration for youth is widely considered a last resort. States that reduced juvenile confinement rates the most between 1997 and 2007 had the greatest declines in juvenile arrested for violent crimes. It’s proof that incarceration doesn’t solve crime. And, it might suggest incarceration damages communities. Following repeated abuse scandals in the California Youth Authority (CYA) facilities in the 90s, California carried forth the largest program of decarceration in U.S. history. Reducing its total number of youth prisons from 11 to 3 and slashing the CYA population by nearly 90%, California simultaneously witnessed a precipitous drop in violent crime committed by under-18s. The U.S. still has a long way to go if it is to reverse decades of over-reliance on incarceration, but as the recent Supreme Court ruling banning Life Without Parole sentences for children suggests, it seems Americans hold less punitive attitudes when it comes to youth’s transgressions, as compared to the apathetic attitudes to adult prisoners. We need to expect and applaud photography that depicts imprisoned children as they are — as citizens-in-the-making, as humans with as complex emotional needs as any of us, as not lost causes, as victims as much as they may have been victimizers, as our future, as individuals society must look to help and reintegrate and not discard. Photography can help us appreciate the complexity of the issues at hand. Used responsibly, it can bring us closer. Photo: “Cash Rules Everything Around Me” by an anonymous student of photography workshop at the Rhode Island Training School, coordinated by AS220 Youth. 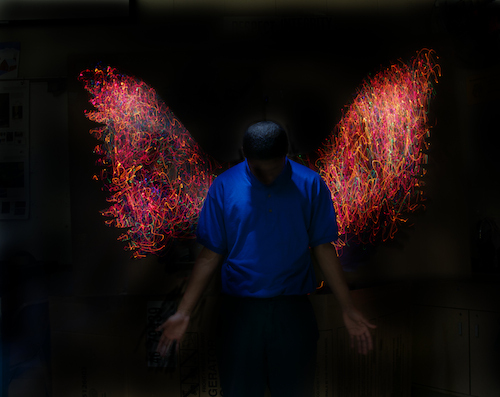 Photo: “Icarus” by an anonymous student of photography workshop at the Rhode Island Training School, coordinated by AS220 Youth. AS220 Youth is a free arts education program for young people ages 14-21, with a special focus on those in the care and custody of the state. AS220 Youth provides free studio-based classes in virtually all media including photography. Staff including photography coordinator Scott Lapham and photography instructor Miguel Rosario (who I met when I visited in 2011) help students build a portfolio with help from a staff advisor. AS220 Youth maintains long-term, supportive relationships with youth transitioning out of RITS and the Department of Children, Youth and Their Families (DCYF) care, and offers mentoring, transitional jobs, and financial support. AS220 Youth works to connect youth with professional opportunities in the arts — through exhibitions at the AS220 Gallery and others; through publication in the AS220 quarterly literary magazine called ‘The Hidden Truth’; and through securing photo-assistant jobs on commercial photo shoots for students. Photo: Steve Liss. Prisoners, ages 10-16, wait in line to march back to their cells in the exercise yard at the Webb County Juvenile Detention facility. Photo: Steve Liss. 10-year-old Alejandro has his mug shot taken at Webb County Juvenile Detention following his arrest for marijuana possession. Every day the inmates get smaller, and more confused about what brought them here. Psychiatrists say children do not react to punishment in the same way as adults. They learn more about becoming criminals than they do about becoming citizens. And one night of loneliness can be enough to prove their suspicion that nobody cares. Steve Liss photographed in Texas 2001-2004. His book No Place For Children: Voices from Juvenile Detention (University of Texas Press, 2005) won the Robert F. Kennedy Journalism Award in 2006. Steve Liss worked as a Time Magazine photographer for 25 years, assigned to stories of social significance involving ordinary people. Forty-three of his photographs appeared on the cover of Time Magazine. For his work on juvenile justice, Liss was awarded a Soros Justice Media Fellowship (2004) for my work on domestic poverty he was awarded an Alicia Patterson Fellowship (2005). Recently, Liss received the Pictures of the Year International (PoYI) ‘World Understanding Award.’ Liss has taught graduate photojournalism at Columbia College, Chicago and Northwestern University. 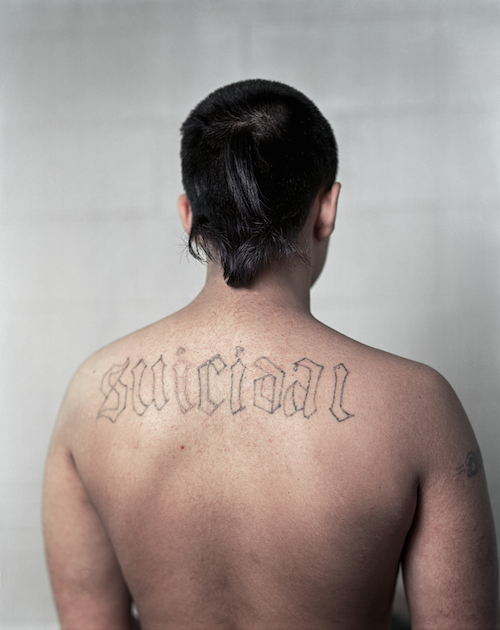 Ara Oshagan photographed inside the Los Angeles County Juvenile Hall and the California prison system. Oshagan’s book of this work A Poor Imitation of Death is to be published next year (Umbrage Books, 2014). Oshagan is twice a recipient of a California Council on the Humanities Major Grant for his documentary work on diaspora groups in Los Angeles. Interested in the themes of identity, community and bearing witness, much of Ara Oshagan’s work focuses on the oral histories of survivors of the Armenian Genocide of 1915. Since 1995, Oshagan has been creating work for iwitness in collaboration with Levon Parian and the Genocide Project. Father Land, a book project made with his father, well-known author, Vahe Oshagan was published in 2010 by powerHouse books. Photo: Anonymous student at Green Hill School. Photograph made in response to the prompt “Vulnerability” as part of photography workshop led by Steve Davis. Photo: Anonymous student at Green Hill School. Discussing photographs made during workshop led by Steve Davis. 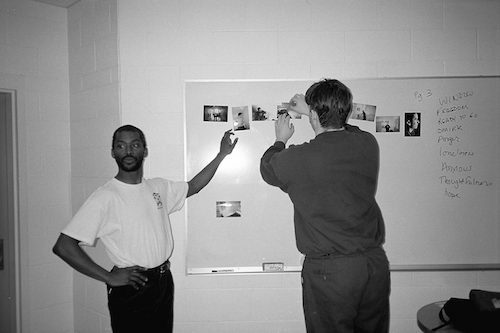 Steve Davis coordinated photography workshops in four facilities in Washington State (Maple Lane, Green Hill, Remann Hall and Oakridge) between 1997 and 2005. Simultaneously, Davis made portraits and photographs for his own series Captured Youth. Davis is a documentary portrait and landscape photographer based in the Pacific Northwest. His work has appeared in Harper’s, the New York Times Magazine, Russian Esquire, and is in many collections, including the Houston Museum of Fine Arts, the Seattle Art Museum, the Santa Barbara Museum of Art, and the George Eastman House. He is a former 1st place recipient of the Santa Fe CENTER Project Competition, and two time winner of Washington Arts Commission/Artist Trust Fellowships. Davis is the Coordinator of Photography, Media Curator and adjunct faculty member of The Evergreen State College, Olympia, WA. Davis is represented by the James Harris Gallery, Seattle. Joseph Rodriguez is a documentary photographer from Brooklyn, New York. He studied photography in the School of Visual Arts and in the Photojournalism and Documentary Photography Program at the International Center of Photography in New York City. Rodriguez’s work had been exhibited at Galleri Kontrast, Stockholm, Sweden; The African American Museum, Philadelphia, PA; The Fototeca, Havana, Cuba; Birmingham Civil Rights Institute, Birmingham, Alabama, Open Society Institute’s Moving Walls, New York; Frieda and Roy Furman Gallery at the Walter Reade Theater at the Lincoln Center; and the Kari Kenneti Gallery Helsinki, Finland. 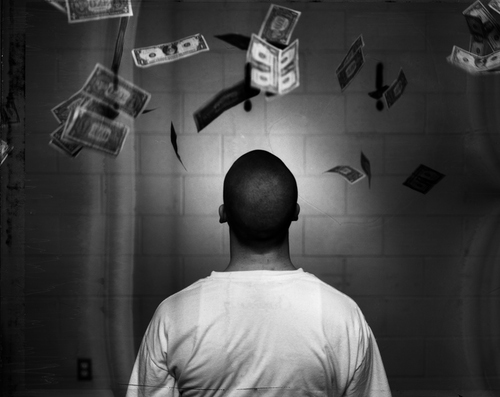 In 2001 the Juvenile Justice website, featuring Joseph Rodriguez’s photographs, launched in partnership with the Human Rights Watch International Film Festival High School Pilot Program. He teaches at New York University, the International Center of Photography, New York. 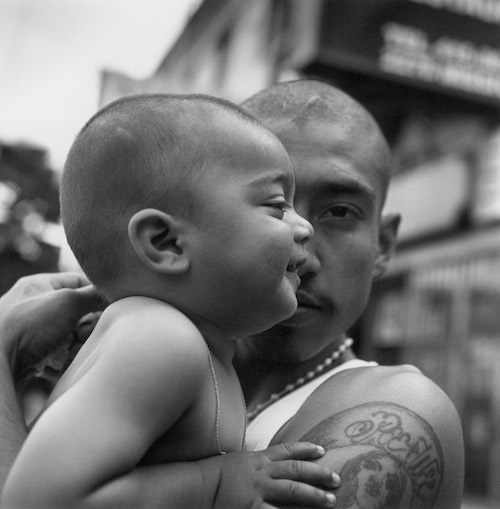 Rodriguez is the past recipient if Alicia Patterson Journalism Fellowship in 1993 photographing communities in East Los Angeles. Photo: Photo: Richard Ross. Los Padrinos Juvenile Hall. Downey, California. Richard Ross is a photographer and professor of art at the University of California, Santa Barbara. Juvenile-In-Justice (2006-ongoing) “turns a lens on the placement and treatment of American juveniles housed by law in facilities that treat, confine, punish, assist and, occasionally, harm them,” says Ross. A book Juvenile in Justice (self-published, 2012) and traveling exhibition continue to circulate the work. Ross collaborates with juvenile justice stakeholders and uses the images as catalysts for change. 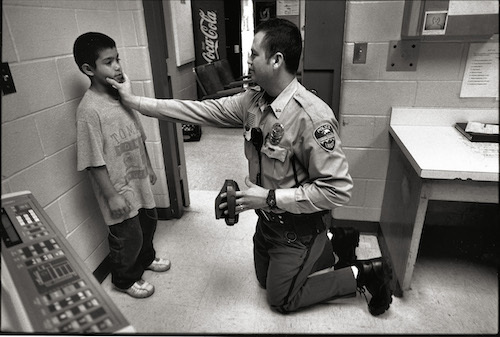 For Juvenile-In-Justice, Richard Ross photographed in over 40 U.S. states in 350 facilities, met and interviewed approximately 1,000 children. Juvenile-In-Justice published on CBS News, WIRED, NPR, PBS Newshour, ProPublica, and Harper’s Magazine, for which it was awarded the 2012 ASME Award for Best News and Documentary Photography. PS: The magic word we got stuck on the mixed emotion behind the prisongurds grin and we agreed upon CERITI SE, which is correct but has a better specific sub category KESERITI SE. And the word for “prison hospice” doesn’t exist because we have prison wards in mental institutions (deinstitutionalization went Titoistic unlike GB, CAN, US).